Waaaaay back in April of 2018 (!!) I launched a new, modern website for CookieTree Bakeries, the cookie masterminds behind some of your favorite cookies. Honestly, they had me at cookies, so I was more than willing to lend my skills to assist in getting these tasty treats a new online home. Their previous website wasn’t responsive, so that was a priority for them, but since it’s also best practice to make all websites responsive, I do that anyway— win! 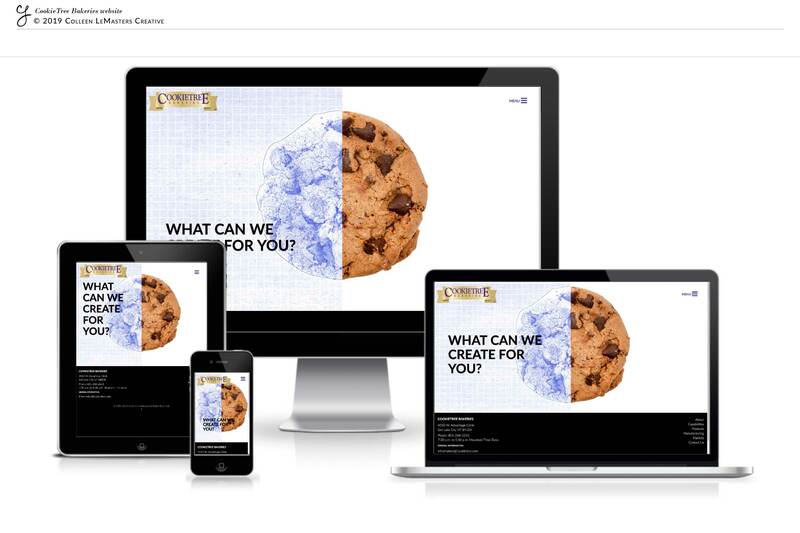 When we first chatted about the goals of the website and what they wanted to convey, one particular comment jumped out at me: they were cookie architects. As someone who wanted to own her own bakery growing up (until I learned of the very early morning hours), I thought this sounded amazingly fun. Create new cookie recipes? How deliciously delightful! This comment stuck with me through the design phases and ultimately served as the inspiration for the homepage design. Couple that with bold images of cookies and other baked goods and our website was born! The new website is sleek, modern and most of all, conveys the services that CookieTree provides.